We've Got It If You Need It! These types of ladders are your traditional ladders, that cannot extend or fold and come in standard lengths. With ladder technology advancing leaps and bounds since the first single pole ladders, this type of ladder has become almost obsolete – however it comes in as one of the cheaper ladders to buy new. Applications: Best used outdoors to access high windows, gutters and single-story roofs. These types of ladders are often smaller than most others, and are designed for indoor residential applications (like replacing a light bulb or painting the roof). Step ladders feature flat steps as opposed to tubular rungs, and fold out as a-frame structures featuring steps on the one side. Applications: Best used indoors to replace lightbulbs, wire lights & fans, and when painting. Extension ladders are able to reach up to heights of over 15 metres, and are the preferred ladders used in the construction industry. These ladders work on a rail system where one side rail lies on top of another, up to three or four layers. These ‘layers’ can be extended to the height required, and are made super rugged to withstand wear and tear. Applications: Best used outdoors for accessing windows, gutters and double-story roofs. As far as versatility goes, dual-purpose ladders certainly shine brighter than most! These ladders are foldable and can be used as single pole ladders, as well as a-frame step ladders – with some dual purpose ladders having the ability to extend! These ladders are widely used in the general maintenance industry – where one ladder needs to perform a range of functions. Applications: Can be used indoors and outdoors, for all of the above applications. All ladders are designed to support ONE person at a time. 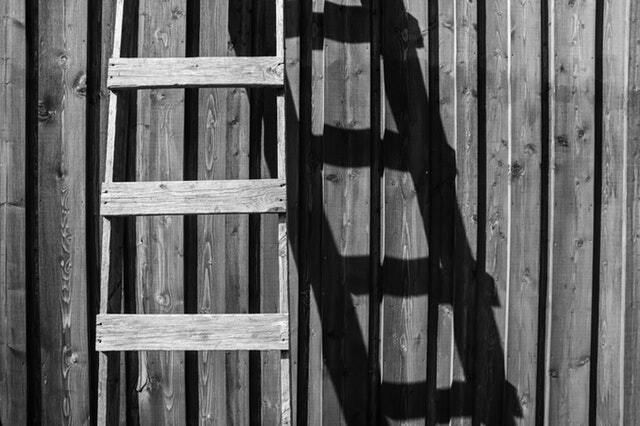 Always inspect a ladder for defects, like bent components or missing rungs, before using it. When using step ladders, be sure the support arms are locked before climbing on. Don’t use ladders on uneven or unstable surfaces. Always face a step ladder when on it. If possible, always have someone holding the ladder while you’re using it. Try to maintain three points of contact on a ladder at all times. As part of our extensive equipment rental offering, Need-A-Tool is also able to hire out both step ladders and extension ladders in KwaZulu-Natal. Contact Sean or Rory about a ladder rental for your next project today! Need-A-Tool 101: How Does a Concrete Mixer Work?